Chrichton's World: The Mummy (2017): Worst movie ever? Come on, it's not that bad! The Mummy (2017): Worst movie ever? Come on, it's not that bad! It has been a couple of weeks now that I have seen The Mummy and have taken my time to digest it all. It is safe to say that a majority of the people aren't happy with The Mummy. But does that automatically mean it really is that bad? While it is far from good or excellent I certainly don't think it's that bad. For all it's flaws it is quite entertaining. But yes there are some issues. Action and spectacle wise this reboot, remake or whatever you want to call this does deliver. Most visuals and effects are pretty. The acting is decent and functional. Tom Cruise is solid as always but it is clear that he might have been miscast a little since he does not seem to fit in this film. To be honest though it never felt like he was wrong but if you do feel that way it could be because you have to get used to see him in a film like this. The Legend is the only other fantasy (excluding science fiction) film he has made and that was at the beginning of his career and I doubt many people know or remember his role in that. But whether you like it or not he does what he is supposed to do and no matter how much you want him to fail you can't blame him for this movie being disliked. When I was watching the film I had to wait quite a long time to figure out what a possible reason could be for people to dislike this film so much. And then a quieter scene revealed it to me. Pacing. The film has gigantic pacing issues. When the action stops scenes just drag too much. Often that is something that can be overlooked when the dialogue is interesting or other compelling events occur. Instead you get exposition after exposition. For some reason Universal Studios really want to cram in their Dark Universe and take every second they get to tell you about it. To be honest I like the concept of shared universes in films and other media. Connecting characters and films can make it a whole lot more fun for the viewer. If done right that is. What DC and Universal don't seem to understand that this type of thing takes time, thought and planning. You can't do these things on a whim since there is a lot that you have to take in account. And it should never ever detract from the main film which is exactly what happened with The Mummy. The main storyline has not been given the care and treatment it deserves. We hardly get to know anyone especially main players Nick Morton (Cruise) and Ahmanet (Sofia Boutella). Sofia is the villain of the story and she almost is secondary to everything. Remember The Mummy 1999 version? Imhotep was very essential. Even off screen his presence mattered. 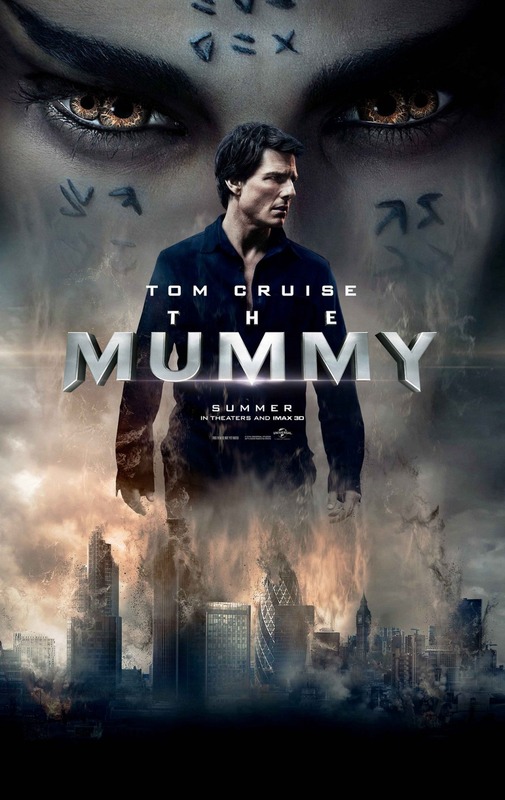 In this film the mummy almost is a joke. Perhaps that was the idea because then the film does something really outrageous at the end. Something I am not sure how to feel about it. On the one hand it seems promising. But on the other hand it's one of those things that will be hard to swallow since it's too ambitious for it's own good. Not going to spoil it for you but let's just say that it's obvious Universal Studios want their Dark Universe to be a real success. Not like this Universal not like this. If you can get past the pacing issues and the whole Dark Universe thing you will be able to enjoy the film as long as it lasts. It certainly is not as bad as a lot of people are claiming it to be. It is nowhere near as bad as say Rings (2017) or King Arthur: Legend of the Sword (2017) to put things in perspective for you.